Until the mid-1990s accepted scientific understanding of the universe held that the cosmos was expanding. 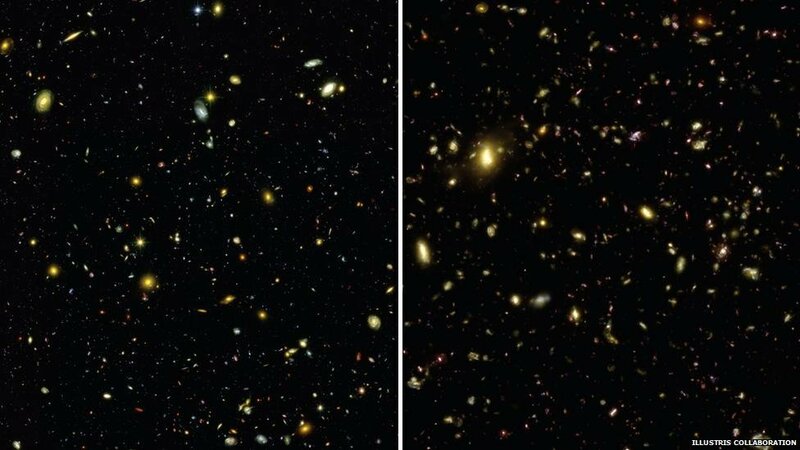 Scientists have accepted this since 1929 when Edwin Hubble‘s celestial observations showed that distant galaxies were all apparently moving away from us. But, in 1998 two independent groups of cosmologists made a startling finding. The universe was not only expanding, its expansion was accelerating. Recent studies show that this acceleration in the fabric of spacetime is actually faster than first theorized and observed. And, nobody knows why. This expansion, indeed the accelerating expansion, remains one of our current great scientific mysteries. Cosmologists, astronomers and theoreticians of all stripes have proposed no shortage of possible explanations. But, there is still scant observational evidence to support any of the leading theories. The most popular revolves around the peculiar idea of dark energy. Our universe is flying apart, with galaxies moving away from each other faster each moment than they were the moment before. Scientists have known about this acceleration since the late 1990s, but whatever is causing it—dubbed dark energy—remains a mystery. Now the latest measurement of how fast the cosmos is growing thickens the plot further: The universe appears to be ballooning more quickly than it should be, even after accounting for the accelerating expansion caused by dark energy. Scientists came to this conclusion after comparing their new measurement of the cosmic expansion rate, called the Hubble constant, to predictions of what the Hubble constant should be based on evidence from the early universe. The puzzling conflict—which was hinted at in earlier data and confirmed in the new calculation—means that either one or both of the measurements are flawed, or that dark energy or some other aspect of nature acts differently than we think. “The bottom line is that the universe looks like it’s expanding about eight percent faster than you would have expected based on how it looked in its youth and how we expect it to evolve,” says study leader Adam Riess of the Space Telescope Science Institute in Baltimore, Md. “We have to take this pretty darn seriously.” He and his colleagues described their findings, based on observations from the Hubble Space Telescope, in a paper submitted last week to the Astrophysical Journal and posted on the preprint server arXiv. One of the most exciting possibilities is that dark energy is even stranger than the leading theory suggests. Most observations support the idea that dark energy behaves like a “cosmological constant,” a term Albert Einstein inserted into his equations of general relativity and later removed. This kind of dark energy would arise from empty space, which, according to quantum mechanics, is not empty at all, but rather filled with pairs of “virtual” particles and antiparticles that constantly pop in and out of existence. These virtual particles would carry energy, which in turn might exert a kind of negative gravity that pushes everything in the universe outward. 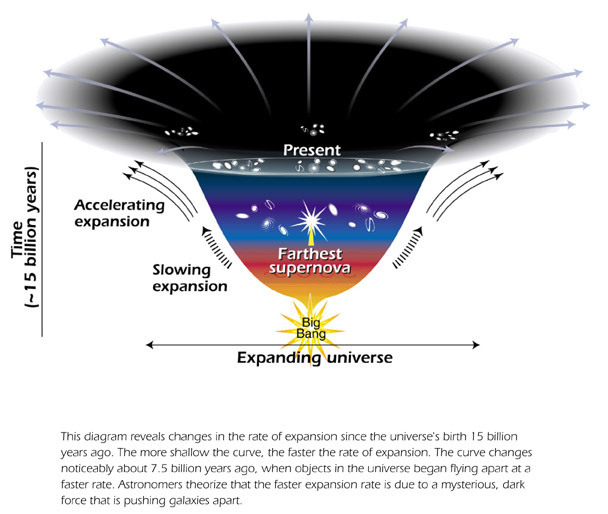 Image: The universe’s accelerated expansion. Courtesy: NASA and ESA. If humanity makes it the next few years and decades without destroying itself and the planet, we can ponder the broader fate of our universal home. Assuming humanity escapes the death of our beautiful local star (in 4-5 billion years or so) and the merging of our very own Milky Way and the Andromeda galaxy (around 7-10 billion years), we’ll be toast in a googol years. Actually, we and everything else in the cosmos will be more like a cold, dark particle soup. By the way, a googol is a rather large number — 10100. That gives us plenty of time to fix ourselves. Well, let’s back up. The universe, as defined as “everything there is, in total summation,” isn’t going anywhere anytime soon. Or ever. If the universe changes into something else far into the future, well then, that’s just more universe, isn’t it? But all the stuff in the universe? That’s a different story. When we’re talking all that stuff, then yes, everything in the universe is dying, one miserable day at a time. You may not realize it by looking at the night sky, but the ultimate darkness is already settling in. Stars first appeared on the cosmic stage rather early — more than 13 billion years ago; just a few hundred million years into this Great Play. But there’s only so much stuff in the universe, and only so many opportunities to make balls of it dense enough to ignite nuclear fusion, creating the stars that fight against the relentless night. At the same time, that dastardly dark energy is causing the expansion of the universe to accelerate, ripping galaxies away from each other faster than the speed of light (go ahead, say that this violates some law of physics, I dare you), drawing them out of the range of any possible contact — and eventually, visibility — with their neighbors. With the exception of the Andromeda Galaxy and a few pathetic hangers-on, no other galaxies will be visible. We’ll become very lonely in our observable patch of the universe. The only consolation is the time scale involved. You thought 14 billion years was a long time? The numbers I’m going to present are ridiculous, even with exponential notation. You can’t wrap your head around it. They’re just … big. At the end of this 100-trillion-year “stelliferous” era, the universe will only be left with the … well, leftovers: white dwarves (some cooled to black dwarves), neutron stars and black holes. Lots of black holes. Welcome to the Degenerate Era, a state that is as sad as it sounds. But even that isn’t the end game. Oh no, it gets worse. After countless gravitational interactions, planets will get ejected from their decaying systems and galaxies themselves will dissolve. Losing cohesion, our local patch of the universe will be a disheveled wreck of a place, with dim, dead stars scattered about randomly and black holes haunting the depths. The early universe was a very strange place, and the late universe will be equally bizarre. 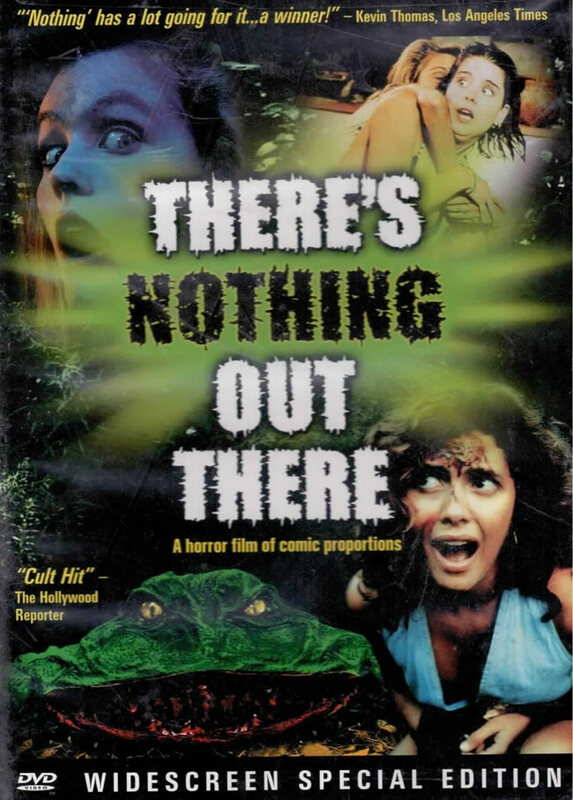 Given enough time, things that seem impossible become commonplace, and objects that appear immutable … uh, mutate. Through a process called quantum tunneling, any solid object will slowly “leak” atoms, dissolving. Because of this, gone will be the white dwarves, the planets, the asteroids, the solid. Even fundamental particles are not immune: given 10^34 years, the neutrons in neutron stars will break apart into their constituent particles. We don’t yet know if the proton is stable, but if it isn’t, it’s only got 10^40 years before it meets its end. With enough time (and trust me, we’ve got plenty of time), the universe will consist of nothing but light particles (electrons, neutrinos and their ilk), photons and black holes. The black holes themselves will probably dissolve via Hawking Radiation, briefly illuminating the impenetrable darkness as they decay. After 10^100 years (but who’s keeping track at this point? ), nothing macroscopic remains. Just a weak soup of particles and photons, spread so thin that they hardly ever interact. In case, you’ve forgotten, a googol is 10100 (10 to the power of 100) or 10 followed by 100 zeros. And, yes, that’s how the company Google derived its name. A single image of the entire universe from 2012 has been collecting lots of attention recently. Not only is it beautiful, it shows the Earth and our solar system clearly in the correct location — at the rightful center! Some seem to be using this to claim that the circa 2,000 year old, geo-centric view of the cosmos must be right. Well, sorry creationists, flat-earthers, and followers of Ptolemy, this gorgeous image is a logarithmic illustration. 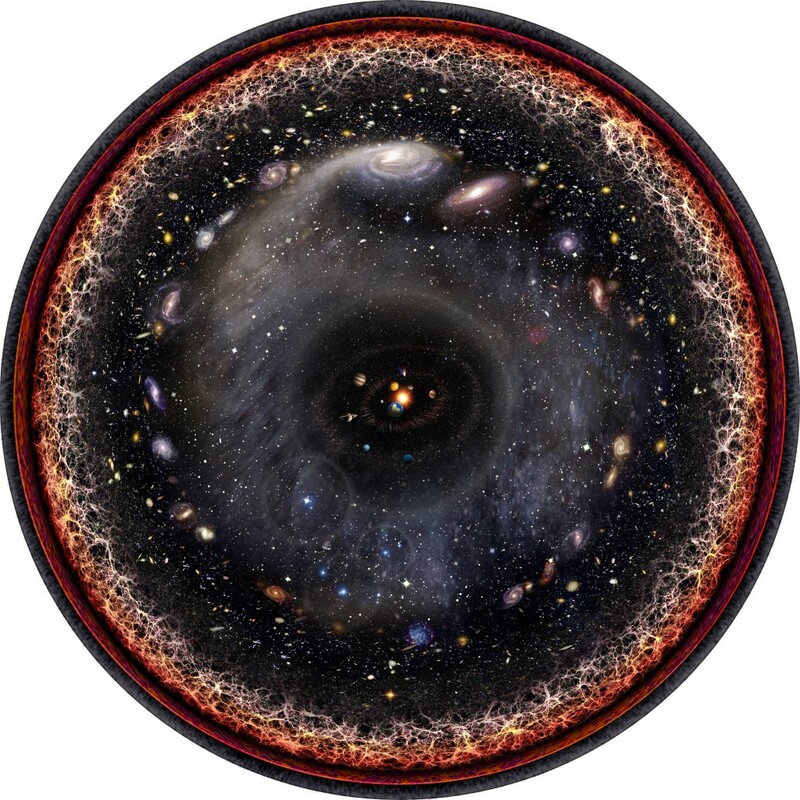 Image: Artist’s logarithmic scale conception of the observable universe with the Solar System at the center, inner and outer planets, Kuiper belt, Oort cloud, Alpha Centauri, Perseus Arm, Milky Way galaxy, Andromeda galaxy, nearby galaxies, Cosmic Web, Cosmic microwave radiation and Big Bang’s invisible plasma on the edge. Courtesy: Pablo Carlos Budassi / Wikipedia. It’s Official — Big Rip Coming! The UK’s Daily Telegraph newspaper just published this article, so it must be true. After all, the broadsheet has been a stalwart of conservative British journalism since, well, the dawn of time, some 6,000 year ago. Apparently our universe will end in a so-called Big Rip, and not in a Big Freeze. Nor will it end in a Big Crunch, which is like the Big Bang in reverse. The Big Rip seems to be a rather calm and quiet version of the impending cosmological apocalypse. So, I’m all for it. I can’t wait… 22 billion years and counting. A group of scientists claim to have evidence supporting the Big Rip theory, explaining how the universe will end – in 22 billion years. Researchers at Vanderbilt University in Nashville, Tennessee, have discovered a new mathematical formulation that supports the Big Rip theory – that as the universe expands, it will eventually be ripped apart. “The idea of the Big Rip is that eventually even the constituents of matter would start separating from each other. You’d be seeing all the atoms being ripped apart … it’s fair to say that it’s a dramatic scenario,” Dr Marcelo Disconzi told the Guardian. Scientists observed distant supernovae to examine whether the Big Rip theory, which was first suggested in 2003, was possible. The theory relies on the assumption that the universe continues to expand faster and faster, eventually causing the Big Rip. “Mathematically we know what this means. But what it actually means in physical terms is hard to fathom,” said Dr Disconzi. Conflicting theories for how the universe will end include the Big Crunch, whereby the Big Bang reverses and everything contracts, and the Big Freeze, where as the universe slowly expands it eventually becomes too cold to sustain life. Previous questions raised over the Big Rip theory include explaining how sticky fluids – that have high levels of viscosity – can travel faster than the speed of light, defying the laws of physics. However, the Vanderbilt team combined a series of equations, including some dating back to 1955, to show that viscosity may not be a barrier to a rapidly expanding universe. “My result by no means settles the question of what the correct formulation of relativistic viscous fluids is. What it shows is that, under some assumptions, the equations put forward by Lichnerowicz have solutions and the solutions do not predict faster-than-light signals. But we still don’t know if these results remain valid under the most general situations relevant to physics,” Dr Disconzi told the New Statesman. 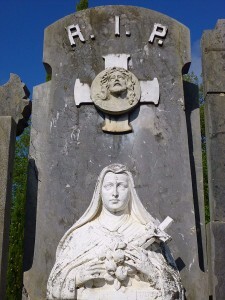 Image: Cementerio de Polloe, en Donostia-San Sebastián, 2014. Courtesy of Zarateman. Public domain. It may just be possible that prophetic doomsayers have been right all along. The end is coming… well, in a few tens of billions of years. A group of physicists propose that the cosmos will soon begin collapsing in on itself. Keep in mind that soon in cosmological terms runs into the billions of years. 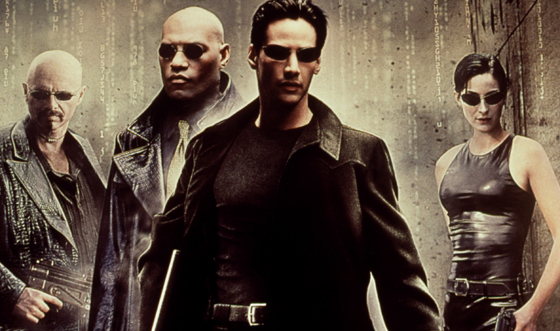 So, it does appear that we still have some time to crunch down our breakfast cereal a few more times before the ultimate universal apocalypse. Clearly this may not please those who seek the end of days within their lifetimes, and for rather different — scientific — reasons, cosmologists seem to be unhappy too. Physicists have proposed a mechanism for “cosmological collapse” that predicts that the universe will soon stop expanding and collapse in on itself, obliterating all matter as we know it. Their calculations suggest that the collapse is “imminent”—on the order of a few tens of billions of years or so—which may not keep most people up at night, but for the physicists it’s still much too soon. 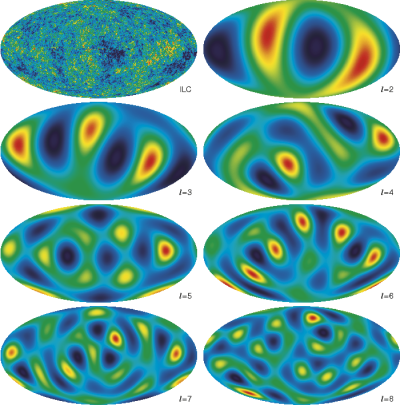 In a paper published in Physical Review Letters, physicists Nemanja Kaloper at the University of California, Davis; and Antonio Padilla at the University of Nottingham have proposed the cosmological collapse mechanism and analyzed its implications, which include an explanation of dark energy. The main point of the paper is not so much when exactly the universe will end, but that the mechanism may help resolve some of the unanswered questions in physics. In particular, why is the universe expanding at an accelerating rate, and what is the dark energy causing this acceleration? These questions are related to the cosmological constant problem, which is that the predicted vacuum energy density of the universe causing the expansion is much larger than what is observed. The collapse mechanism builds on the physicists’ previous research on vacuum energy sequestering, which they proposed to address the cosmological constant problem. The dynamics of vacuum energy sequestering predict that the universe will collapse, but don’t provide a specific mechanism for how collapse will occur. 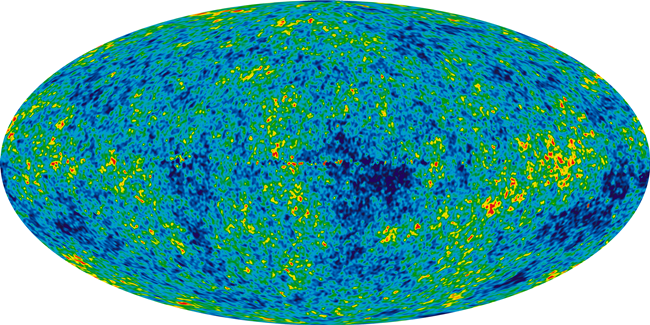 Image: Image of the Cosmic Microwave Background (CMB) from nine years of WMAP data. The image reveals 13.77 billion year old temperature fluctuations (shown as color differences) that correspond to the seeds that grew to become the galaxies. Courtesy of NASA. The cosmos seems remarkably uniform — look in any direction with the naked eye or the most powerful telescopes and you’ll see much the same as in any other direction. Yet, on a grand scale, our universe shows some peculiar fluctuations that have cosmologists scratching their heads. 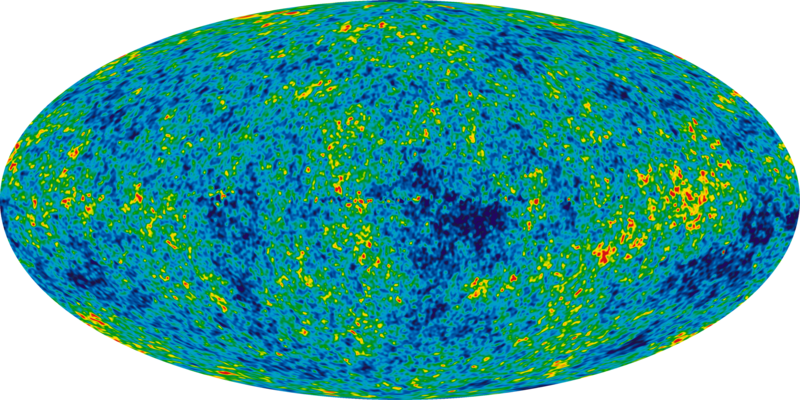 The temperature of the universe, as described by the cosmic microwave background (CMB), shows some interesting fluctuations in specific, vast regions. It is the distribution of these temperature variations that shows what seem to be non-random patterns. Cosmologists have dubbed the pattern, “axis of evil”. The Universe is incredibly regular. The variation of the cosmos’ temperature across the entire sky is tiny: a few millionths of a degree, no matter which direction you look. Yet the same light from the very early cosmos that reveals the Universe’s evenness also tells astronomers a great deal about the conditions that gave rise to irregularities like stars, galaxies, and (incidentally) us. Over the centuries, astronomers have provided increasing evidence that Earth, the Solar System, and the Milky Way don’t occupy a special position in the cosmos. Not only are we not at the center of existence—much less the corrupt sinkhole surrounded by the pure crystal heavens, as in early geocentric Christian theology—the Universe has no center and no edge. In cosmology, that’s elevated to a principle. The Universe is isotropic, meaning it’s (roughly) the same in every direction. The cosmic microwave background (CMB) is the strongest evidence for the isotropic principle: the spectrum of the light reaching Earth from every direction indicates that it was emitted by matter at almost exactly the same temperature. The Big Bang model explains why. In the early years of the Universe’s history, matter was very dense and hot, forming an opaque plasma of electrons, protons, and helium nuclei. The expansion of space-time thinned out until the plasma cooled enough that stable atoms could form. That event, which ended roughly 380,000 years after the Big Bang, is known as recombination. The immediate side effect was to make the Universe transparent and liberate vast numbers of photons, most of which have traveled through space unmolested ever since. We observe the relics of recombination in the form of the CMB. The temperature of the Universe today is about 2.73 degrees above absolute zero in every part of the sky. The lack of variation makes the cosmos nearly as close to a perfect thermal body as possible. However, measurements show anisotropies—tiny fluctuations in temperature, roughly 10 millionths of a degree or less. These irregularities later gave rise to areas where mass gathered. A perfectly featureless, isotropic cosmos would have no stars, galaxies, or planets full of humans. Smaller details in the fluctuations tell cosmologists the relative amounts of ordinary matter, dark matter, and dark energy. However, some of the largest fluctuations—covering one-fourth, one-eighth, and one-sixteenth of the sky—are bigger than any structure in the Universe, therefore representing temperature variations across the whole sky. Those large-scale fluctuations in the power spectrum are where something weird happens. The temperature variations are both larger than expected and aligned with each other to a high degree. 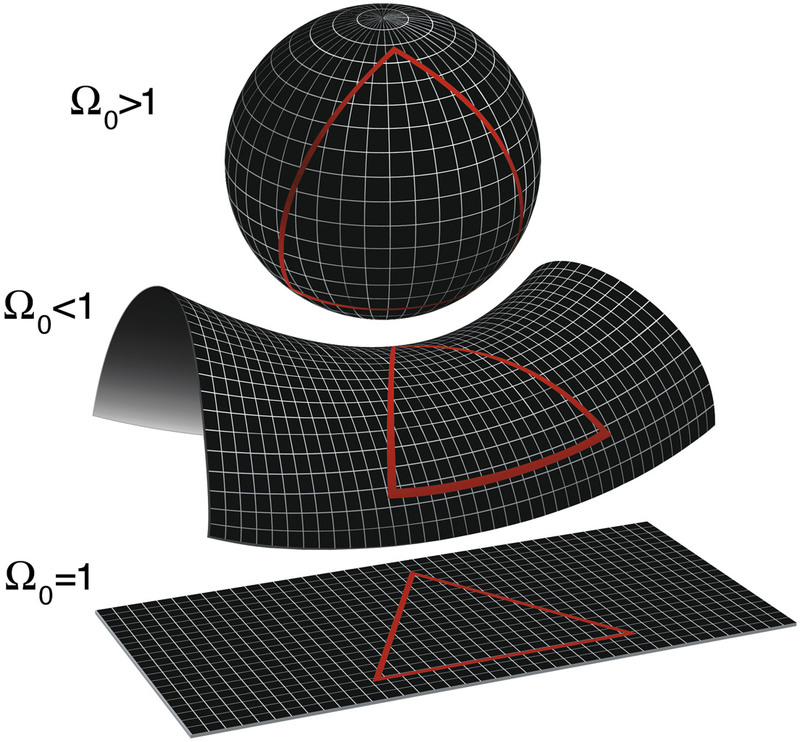 That’s at odds with theoretical expectations: the CMB anisotropies should be randomly oriented, not aligned. In fact, the smaller-scale variations are random, which makes the deviation at larger scales that much stranger. Kate Land and Joao Magueijo jokingly dubbed the strange alignment “the axis of evil” in a 2005 paper (freely available on the ArXiv), riffing on an infamous statement by then-US President George W. Bush. 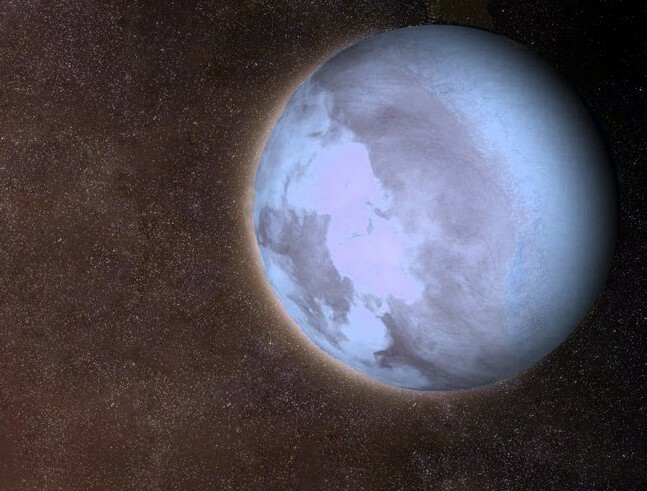 Their findings were based on data from an earlier observatory, the Wilkinson Microwave Anisotropy Probe (WMAP), but the follow-up Planck mission found similar results. 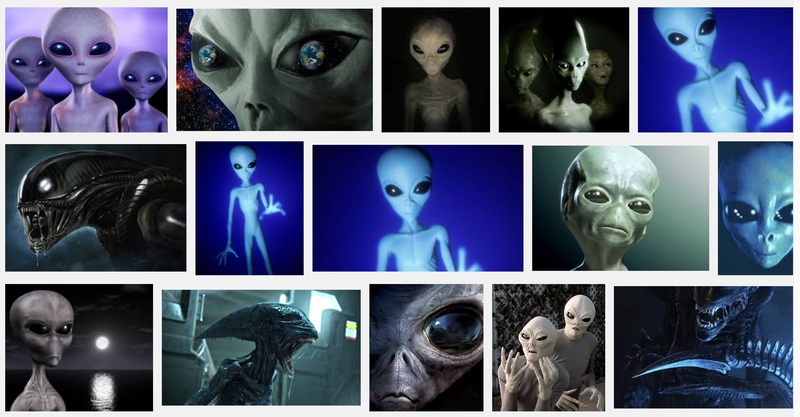 There’s no question that the “axis of evil” is there; cosmologists just have to figure out what to think about it. The task of interpretation is complicated by what’s called “cosmic variance,” or the fact that our observable Universe is just one region in a larger Universe. Random chance dictates that some pockets of the whole Universe will have larger or smaller fluctuations than others, and those fluctuations might even be aligned entirely by coincidence. In other words, the “axis of evil” could very well be an illusion, a pattern that wouldn’t seem amiss if we could see more of the Universe. However, cosmic variance also predicts how big those local, random deviations should be—and the fluctuations in the CMB data are larger. They’re not so large as to rule out the possibility of a local variation entirely—they’re above-average height—but cosmologists can’t easily dismiss the possibility that something else is going on. Image courtesy of Hinshaw et al WMAP paper. The Sloan Digital Sky Survey (SDSS) is an ambitious multi-year effort to map the cosmos. Since its inception in 2000 the project has imaged and mapped around 930,000 galaxies and 120,000 quasars. Now thanks to some rather cool computational visualization we can zoom through an animation of the map in 3D. Read more about the SDSS here. Combine the vastness of the universe with the probabilistic behavior of quantum mechanics and you get some rather odd chemical results. This includes the spontaneous creation of some complex organic molecules in interstellar space — previously believed to be far too inhospitable for all but the lowliest forms of matter. Heard and his colleagues wondered if the answer lay in quantum mechanics: a process called quantum tunnelling might give the hydroxyl radical a small chance to cheat by digging through the barrier instead of going over it, they reasoned. Image: Amino-1-methoxy-4-methylbenzol, featuring methoxy molecular structure, recently found in interstellar space. Courtesy of Wikipedia. The debate on how the universe came to be rages on. Perhaps, however, we are a little closer to understanding why there is “something”, including us, rather than “nothing”. Long before the first galaxy clusters and the first galaxies appeared in our universe, and before the first stars, came the first basic elements — hydrogen, helium and lithium. Results from a just published study identify these raw materials from what is theorized to be the universe’s first few minutes of existence. By peering into the distance with the biggest and best telescopes in the world, astronomers have managed to glimpse exploding stars, galaxies and other glowing cosmic beacons as they appeared just hundreds of millions of years after the big bang. They are so far away that their light is only now reaching Earth, even though it was emitted more than 13 billion years ago. Astronomers have been able to identify those objects in the early universe because their bright glow has remained visible even after a long, universe-spanning journey. But spotting the raw materials from which the first cosmic structures formed—the gas produced as the infant universe expanded and cooled in the first few minutes after the big bang—has not been possible. 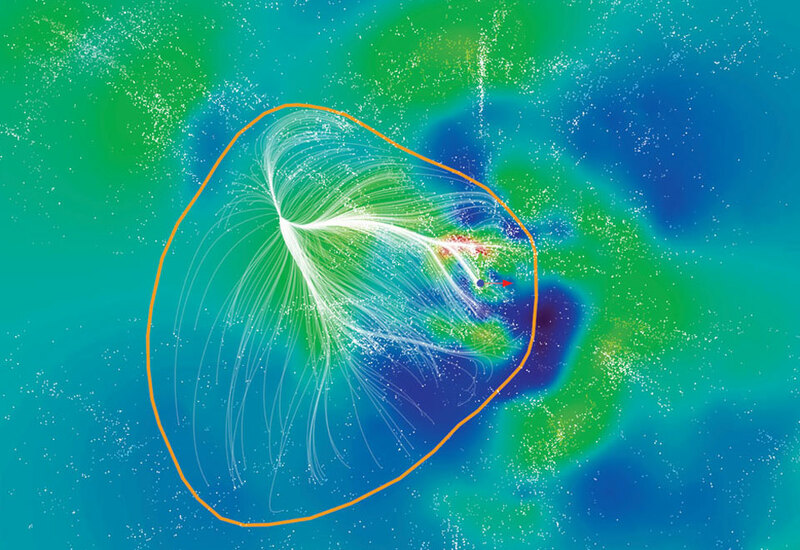 That material is not itself luminous, and everywhere astronomers have looked they have found not the primordial light-element gases hydrogen, helium and lithium from the big bang but rather material polluted by heavier elements, which form only in stellar interiors and in cataclysms such as supernovae. Now a group of researchers reports identifying the first known pockets of pristine gas, two relics of those first minutes of the universe’s existence. The team found a pair of gas clouds that contain no detectable heavy elements whatsoever by looking at distant quasars and the intervening material they illuminate. Quasars are bright objects powered by a ravenous black hole, and the spectral quality of their light reveals what it passed through on its way to Earth, in much the same way that the lamp of a projector casts the colors of film onto a screen. The findings appeared online November 10 in Science. The newfound gas clouds, as Fumagalli and his colleagues see them, existed about two billion years after the big bang, at an epoch of cosmic evolution known as redshift 3. (Redshift is a sort of cosmological distance measure, corresponding to the degree that light waves have been stretched on their trip across an expanding universe.) By that time the first generation of stars, initially comprising only the primordial light elements, had formed and were distributing the heavier elements they forged via nuclear fusion reactions into interstellar space. General scientific consensus suggests that our universe has no pre-defined destiny. While a number of current theories propose anything from a final Big Crush to an accelerating expansion into cold nothingness the future plan for the universe is not pre-determined. Unfortunately, our increasingly sophisticated scientific tools are still to meager to test and answer these questions definitively. So, theorists currently seem to have the upper hand. And, now yet another theory puts current cosmological thinking on its head by proposing that the future is pre-destined and that it may even reach back into the past to shape the present. Confused? Read on! The universe has a destiny—and this set fate could be reaching backwards in time and combining with influences from the past to shape the present. It’s a mind-bending claim, but some cosmologists now believe that a radical reformulation of quantum mechanics in which the future can affect the past could solve some of the universe’s biggest mysteries, including how life arose. What’s more, the researchers claim that recent lab experiments are dramatically confirming the concepts underpinning this reformulation. 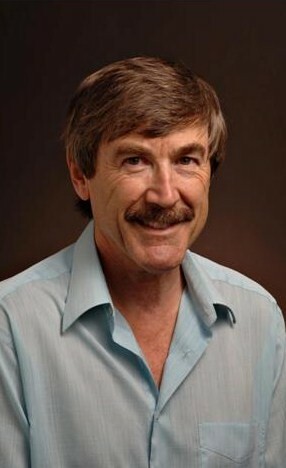 Cosmologist Paul Davies, at Arizona State University in Tempe, is embarking on a project to investigate the future’s reach into the present, with the help of a $70,000 grant from the Foundational Questions Institute. It is a project that has been brewing for more than 30 years, since Davies first heard of attempts by physicist Yakir Aharonov to get to root of some of the paradoxes of quantum mechanics. One of these is the theory’s apparent indeterminism: You cannot predict the outcome of experiments on a quantum particle precisely; perform exactly the same experiment on two identical particles and you will get two different results. While most physicists faced with this have concluded that reality is fundamentally, deeply random, Aharonov argues that there is order hidden within the uncertainty. But to understand its source requires a leap of imagination that takes us beyond our traditional view of time and causality. In his radical reinterpretation of quantum mechanics, Aharonov argues that two seemingly identical particles behave differently under the same conditions because they are fundamentally different. We just do not appreciate this difference in the present because it can only be revealed by experiments carried out in the future. “It’s a very, very profound idea,” says Davies. Aharonov’s take on quantum mechanics can explain all the usual results that the conventional interpretations can, but with the added bonus that it also explains away nature’s apparent indeterminism. What’s more, a theory in which the future can influence the past may have huge—and much needed—repercussions for our understanding of the universe, says Davies. So the Universe is Flat? Having just posted an article that described the universe in terms of holographic principles – a 3-D projection on a two dimensional surface, it’s timely to put the theory in context, of other theories of course. There’s a theory that posits that the universe is a bubble wrought from the collision of high-dimensional branes (membrane that is). There’s a theory that suggests that our universe is one of many in a soup of multi-verses. Other theories suggest that the universe is made up of 9, 10 or 11 dimensions. There’s another theory that the universe is flat, and that’s where Davide Castelvecchi (mathematician, science editor at Scientific American and blogger) over at Degrees of Freedom describes the current thinking. In the last decade—you may have read this news countless times—cosmologists have found what they say is rather convincing evidence that the universe (meaning 3-D space) is flat, or at least very close to being flat. The exact meaning of flat, versus curved, space deserves a post of its own, and that is what Part II of this series will be about. For the time being, it is convenient to just visualize a plane as our archetype of flat object, and the surface of the Earth as our archetype of a curved one. Both are two-dimensional, but as I will describe in the next installment, flatness and curviness make sense in any number of dimensions. What I do want to talk about here is what it is that is supposed to be flat. When cosmologists say that the universe is flat they are referring to space—the nowverse and its parallel siblings of time past. Spacetime is not flat. It can’t be: Einstein’s general theory of relativity says that matter and energy curve spacetime, and there are enough matter and energy lying around to provide for curvature. Besides, if spacetime were flat I wouldn’t be sitting here because there would be no gravity to keep me on the chair. To put it succintly: space can be flat even if spacetime isn’t. On a cosmic scale, the curvature created in space by the countless stars, black holes, dust clouds, galaxies, and so on constitutes just a bunch of little bumps on a space that is, overall, boringly flat. is easily explained, too: spacetime is curved, and so is space; but on a large scale, space is overall flat.